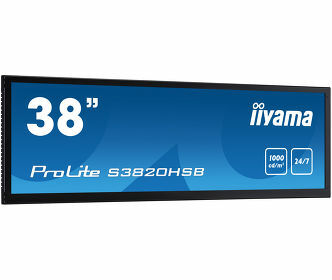 iiyama springs into March with the arrival of their first LED backlit monitor featuring VA Panel technology; The ProLite X2472HD. This new 24” display offers excellent colour performance and amazing viewing angles combined with the Low Power LED Panel is an ideal choice for Universities, Corporate, Financial and Design markets. Superb Black and White depiction and 24-bit ‘True Colour’ is featured on the X2472HD and with 3000:1 native contrast ratio this provides great performance in applications such as Photographic, Design and Web Design. 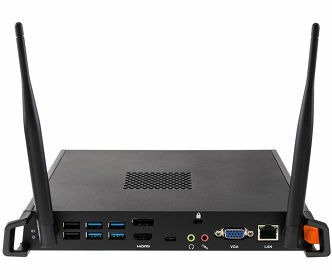 The fast response, full HD 1920x1080 display, triple input connectivity of VGA, D-Sub and HDMI plus headphone socket completes this high specification display. Versatility, value for money and eco-friendly - the ProLite X2472HD gets three ‘Yes’s’ from us!! The ProLite X2472HDS-1 is available at the end of February at a SRP of £199.99 inc. VAT. For more details contact the Information Line on 01438 745482 or visit www.iiyama.co.uk. Based in Japan, iiyama is a leading international monitor manufacturer and became part of MCJ Holdings in February 2006, a company floated on the Mothers Stock Exchange and having an audited turnover of over £300M in 2006.
iiyama continues to offer a 3 year onsite advance exchange swap warranty even though other manufacturers are changing their warranty conditions, to the detriment of the customer, to save cost in a very competitive market.